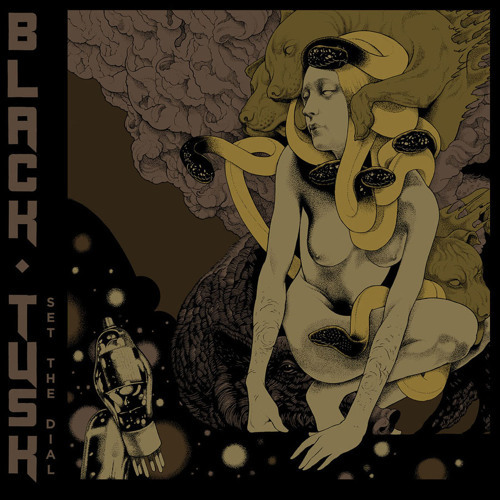 Savannah’s BLACK TUSK return with Set the Dial, the brand new, Jack Endino (SOUNDGARDEN, HIGH ON FIRE, SKELETONWITCH) produced disk of high-energy hard rock. Set the Dial’s ten tracks cook like the Savannah heat, raising up their signature brand of primal, triple-vocal, chromatic madness, and tattooing it across canyon-wide grooves. Buy Black Tusk - "Bring Me Darkness"
Users who like Black Tusk - "Bring Me Darkness"
Users who reposted Black Tusk - "Bring Me Darkness"
Playlists containing Black Tusk - "Bring Me Darkness"
More tracks like Black Tusk - "Bring Me Darkness"